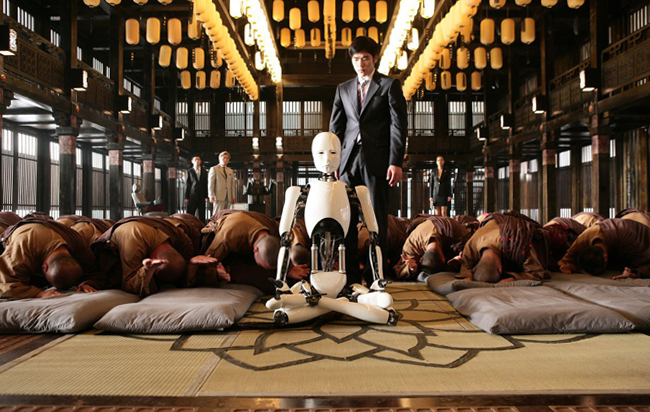 Reel Asian co-presents DOOMSDAY BOOK and DEAD SUSHI at Toronto After Dark! Reel Asian is proud to co-present Doomsday Book and Dead Sushi at the Toronto After Dark Film Festival this fall. Winner of Fantasia Film Festival’s Jury Award for Best Feature Film, this trio of apocalyptic tales features the rise of sentient robots, a zombie virus outbreak and an asteroid on a fatal collision course with earth. Co-directed by acclaimed Korean filmmaker Jee-woon Kim (I SAW THE DEVIL, THE GOOD THE BAD AND THE WEIRD, A TALE OF TWO SISTERS). $14 Regular, $24 Double Feature w/ SUSHI GIRL at 6:45 PM. A vacation resort faces an attack of killer sushi in this outrageous horror comedy from the same deliciously deranged Japanese filmmakers who brought you MACHINE GIRL and TOKYO GORE POLICE! The Toronto After Dark Film Festival will be taking place October 18-26, 2012. Check out their entire programming here.